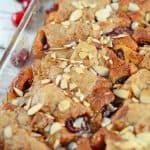 Cherry Dumpling Casserole is a quick and tasty dessert recipe made with only a handful of ingredients! 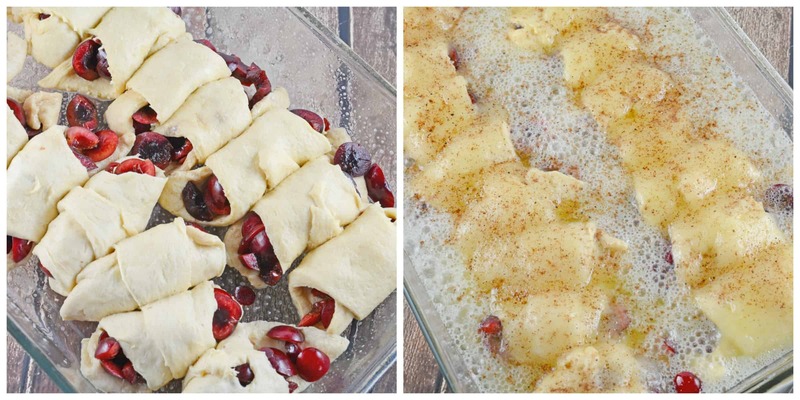 Use this easy crescent roll dumplings hack that the whole family will love! Perfect for parties and large groups! 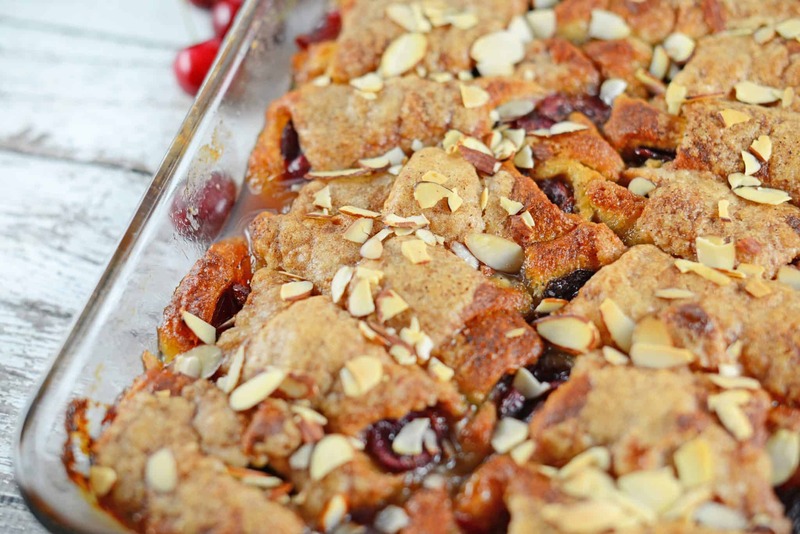 Cherry Dumpling Casserole is a great recipe that use cherries in a tasty and easy dessert! 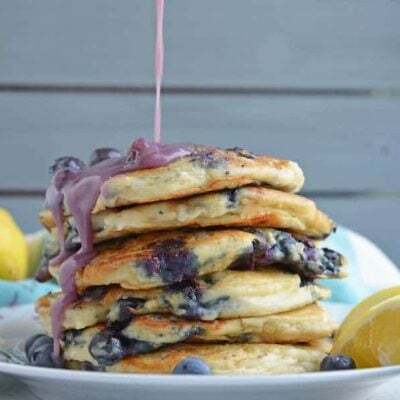 Easy to make and delicious to eat, what could be better? 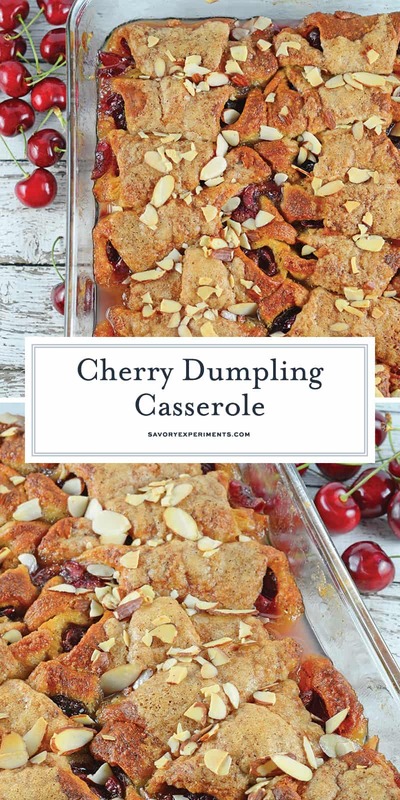 Cherry Dumpling Casserole is kind of a casserole, kind of dumplings, kind of a cobbler, kind of a dump cake but not really any of those. If we are getting technical here, they aren’t really even dumplings! More of a kitchen hack dumplings. I really didn’t know what to call this easy dessert recipes. I got the original idea from the Pioneer Woman herself on one of those viral videos going around Facebook. Only she used peaches, cinnamon and vanilla. Seeing that it was the warmer months and I am OBSESSED with cherries at the moment (despite the fact that they are killing my bank account) I decided to make mine with cherries. I think I’ll also give it a whirl with apples! I never found the written recipe for the original Cherry Dumpling Casserole, in fact I don’t even know what the name was, but I took the liberty of making a few adaptations. What got me was that is is made with crescent dough. While I try to stay away from processed foods, I crumble when it comes to refrigerated biscuits, crescent rolls or pie crusts. I just feel like the benefits of buying these pre-made far outweighs making them scratch. This coming from a woman who makes her own mayonnaise and butter. What can I say, I am a weirdo! No matter how many times I make dough for these, it never tastes as buttery and delicious as the pre-made kind. Someday I will visit France and have a chef show me “the right way” and then I will never look back. I will chuckle at the notion that I once thought refrigerated crescent dough was passable. But I’m not there yet and until then, I will wrap all sorts of stuff up in the goodness and love it! I also love cherries. The only problem I have when I cook with cherries is that I have to buy at least double because I eat them while I am cooking. One for the cherry dumpling casserole… one for me… one for the cherry dumpling casserole… one for me. The sugary butter mix will form a candy coating on top of your dumplings as the pastry bakes up. Lemon lime soda gives it a little pizazz and prevents the whole shebang from drying out. – I used to think this was an excessive gadget I didn’t need. I was wrong. 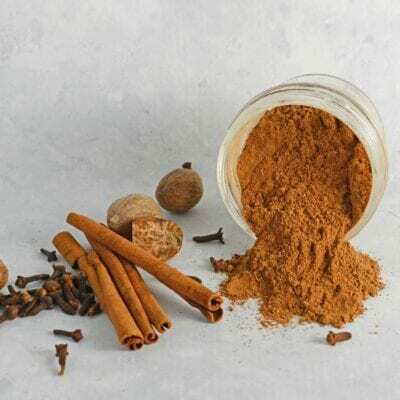 – an absolute essential for any kitchen! 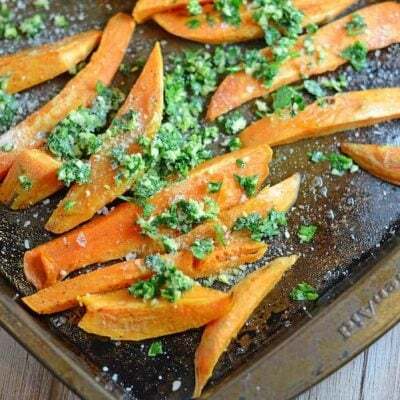 Use it for baking, marinating or storing. Get one with a lid, you’ll thank me later. Wood cutting board – wood won’t dull your knives like plastic and if treated properly, has natural antimicrobial properties. 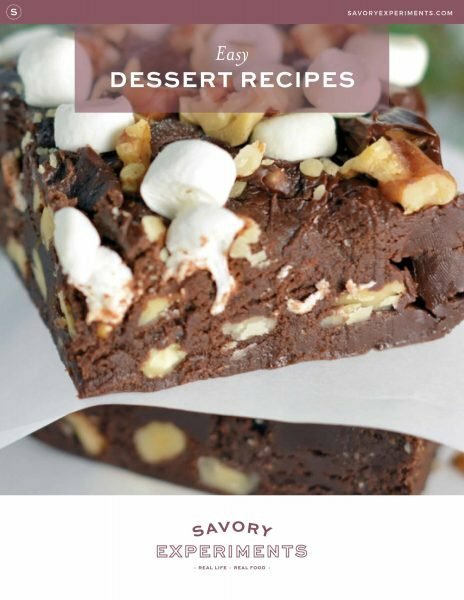 If you are looking for even more dessert recipes, snag a copy of my Easy Dessert Recipes Mini-Cookbook. 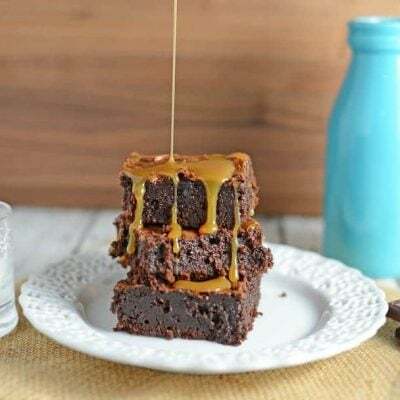 Available here for only $0.99, these easy dessert recipes are ready with less than 30 minutes hands-on time and are sure to please all your family friends. From no-bake to make-ahead, you are sure to find something you love! 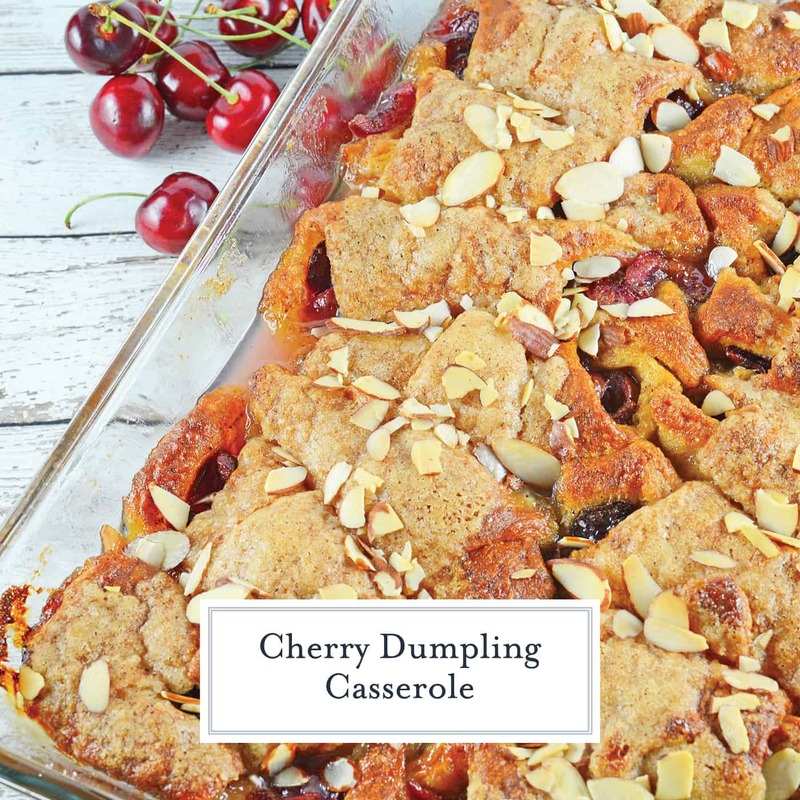 Cherry Dumpling Casserole is a great way to use cherries in an easy dessert recipe. 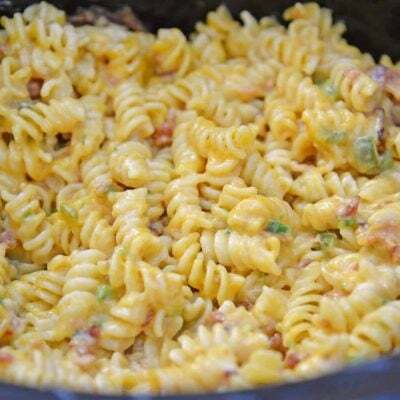 Easy to make and delicious to eat, what could be better? Coat cooking spray on 9x13 pan. Estimate 2-3 cherries per refrigerator croissant roll, roll up like you were making the actual rolls. Line them up 8 on each side. In a small sauce pan, melt butter, add almond extract and then sugar, stirring until all wet, but still grainy. Pour evenly over cherry dumplings. 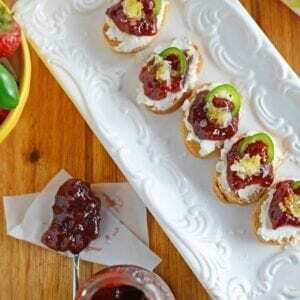 Pour lemon-lime soda around cherry dumplings. Sprinkle with nutmeg and sliced almonds. Bake for 40 minutes. Remove and allow to cool for 10 minutes before serving with a large scoop of vanilla ice cream. 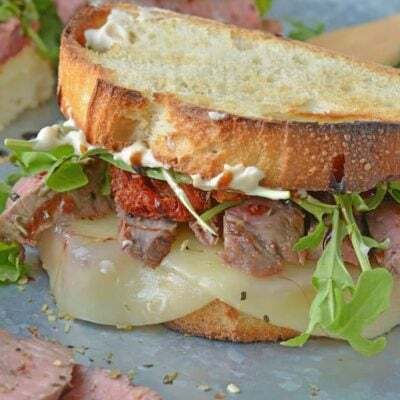 If you've tried this recipe, come back and let us know how it was! Snap a pic and hashtag it #SavoryExperiments— We love to see your creations on Instagram, Facebook, and Twitter! 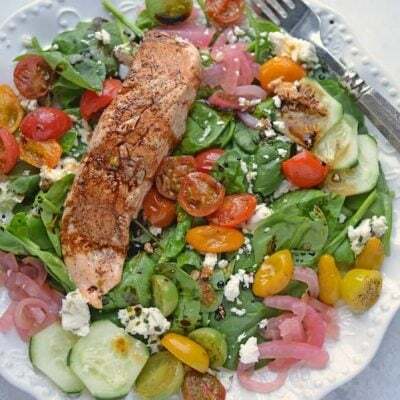 Sign-up Free Email Updates and Receive a Free E-Cookbook! I’m Jessica, mom, wife, travel enthusiast, lover of salt and butter, photographer and cook. 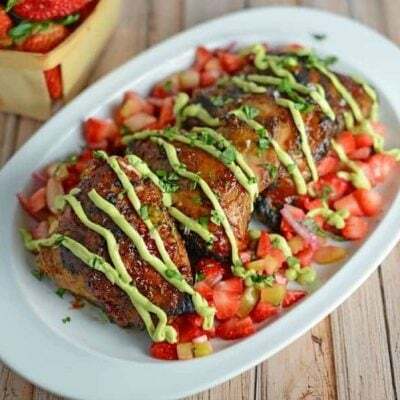 Receive a FREE eCookbook with 10 Non-Boring Chicken Recipes! Copyright © 2019 Savory Experiments, All Rights Reserved. We want YOU to join the Savory Experiments community! We are all about keeping things exciting and fun in the kitchen. We look forward to you being part of our community!